Figuring out the fate of the Universe is one step closer. 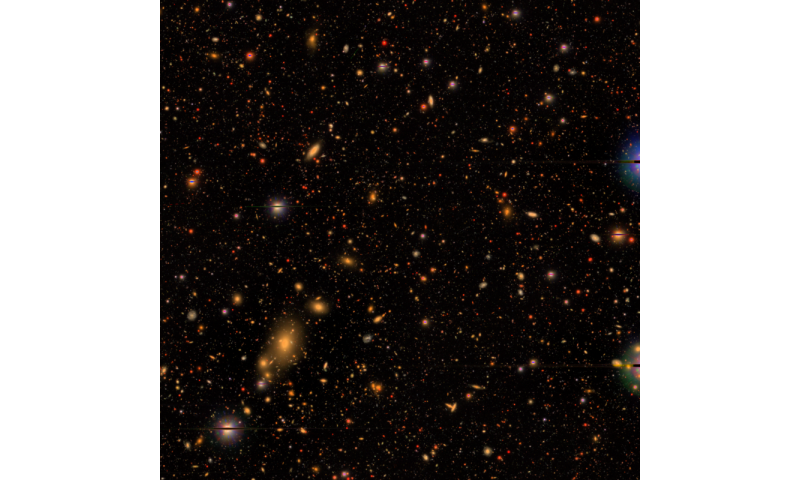 The first massive dataset of a "cosmic census" is released using the largest digital camera on the Subaru Telescope. Beautiful images are available for public at large. The first dataset from the Hyper Suprime-Cam Subaru Strategic Program (HSC-SSP) was released to the public on February 27th, 2017. HSC-SSP is a large survey being done using HSC, which is an optical imaging camera mounted at the prime focus of the Subaru Telescope. HSC has 104 scientific CCDs (for a total of 870 million pixels) and a 1.77 square-degree field of view. The National Astronomical Observatory of Japan (NAOJ) has embarked on the HSC-SSP survey in collaboration with the Kavli Institute for the Physics and Mathematics of the Universe (Kavli IPMU) in Japan, the Academia Sinica Institute of Astronomy and Astrophysics (ASIAA) in Taiwan, and Princeton University in the United States. The project will take 300 nights over 5-6 years. This survey consists of three layers; Wide, Deep, and UltraDeep, using optical and near infrared wavelengths in five broad bands (g, r, i, z, y) and four narrow-band filters. This release includes data from the first 1.7 years (61.5 nights of observations beginning in 2014). The observed areas covered by the Wide, Deep, and UltraDeep layers are 108, 26, and 4 square degrees, respectively. 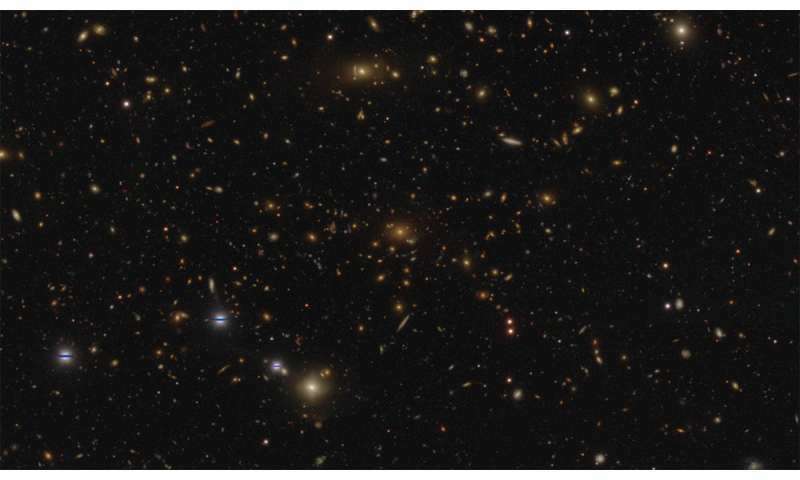 The limiting magnitudes, which refer to the depth (Note) of the observations, are 26.4, 26.6 and 27.3 mag in r-band (about 620 nm wavelength), respectively, allowing observations of some of the most distant galaxies in the universe. In the multi-band images, images are extremely sharp, with star images only 0.6 to 0.8 arcseconds across. 1 arcsecond equals 3600th part of a degree. These high-quality data will allow a unprecedented view into the nature and evolution of galaxies and dark matter. 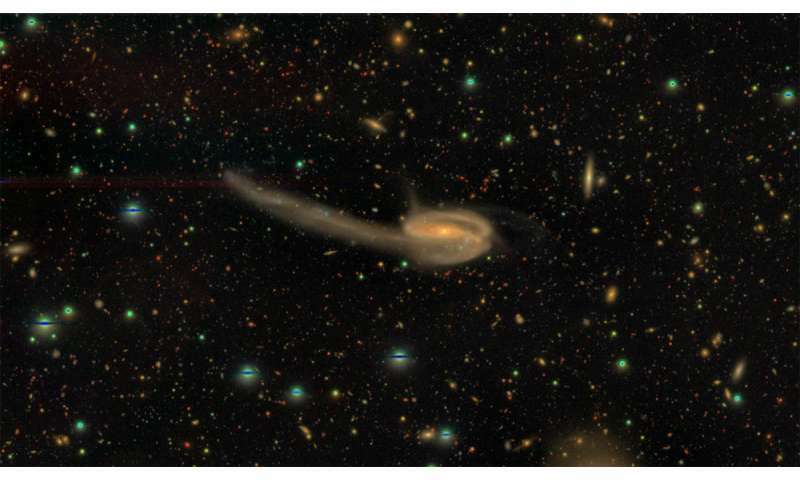 This first public dataset already contains 70 million galaxies and stars. It demonstrates that HSC-SSP is making the most of the performance of the Subaru Telescope and HSC. In 2015, using HSC observations over 2.3 square degrees of sky, nine clumps of dark matter, each weighing as much a galaxy cluster were discovered from their weak lensing signature (Miyazaki et al. 2015, ApJ 807, 22, "Properties of Weak Lensing Clusters Detected on Hyper Suprime-Cam 2.3 Square Degree Field"). The HSC-SSP data release covers about 50 times more sky than was used in this study, showing the potential of these data to reveal the statistical properties of dark matter. The total amount of data taken so far comprises 80 terabytes, which is comparable to the size of about 10 million images by a general digital camera. Since it is difficult to search such a huge dataset with standard tools, NAOJ has developed a dedicated database and interface for ease of access and use of the data. "Since 2014, we have been observing the sky with HSC, which can capture a wide-field image with high resolution," said Dr. Satoshi Miyazaki, the leader of the HSC-SSP. "We believe the data release will lead to many exciting astronomical results, from exploring the nature of dark matter and dark energy, as well as asteroids in our own solar system objects and galaxies in the early universe. SSP team members are now preparing a number of scientific papers based on these data. We plan to publish them in a special issue of the Publications of Astronomical Society of Japan. Moreover, we hope that interested members of the public will also access the data and enjoy the real universe imaged by the Subaru telescope, one of the largest the world." Funding for the HSC Project was provided in part by the following grants: Grant-in-Aid for Scientific Research (B) JP15340065; Grant-in-Aid for Scientific Research on Priority Areas JP18072003; and the Funding Program for World-Leading Innovative R&D on Science and Technology (FIRST) entitled, "Uncovering the Origin and Future of the Universe: ultra-wide-field imaging and spectroscopy reveal the nature of dark matter and dark energy."